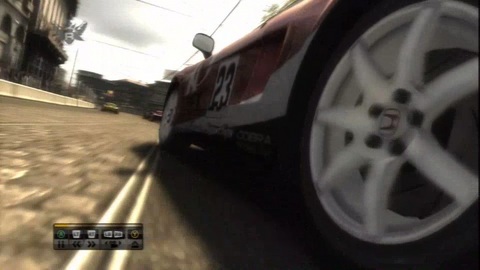 The PC version Race Driver: Grid will be slashed to £2.99/$4.99 today on Steam. At the time of writing the price is £10.99. Later today that will drop to £3 and stay that way until Thursday, 21st July. Publisher Codemasters will donate all profits from the sale of Grid during this time to charities and good causes. GamesAid is among those, as are organisations singled out by the Livingstone-Hope review. "The monies will be directed to worthwhile causes targeted at young people. This will embrace education, sport and the disadvantaged and vulnerable in our society and will clearly demonstrate that video games make a positive difference to the lives of young people," commented Codemasters CEO Rod Cousens. "We aim to support young people who have aspirations and want to develop themselves through knowledge and further education, particularly if it relates to media and technology in readiness for the opportunities that are open to them in the digital age. This may well take the form of opening up a career in the games industry and all that is has to offer." Race Driver: Grid is a fantastic arcade racing game with a rewind mechanic for undoing high-speed mistakes. Eurogamer's Race Driver: Grid review awarded 9/10.